Today we have a helpful and interesting guest post by Joyce Baker who wants to share her knowledge with you. Discover how to Reduce the pain of cramps before the period at home! Cramps before the period have different levels of expression in each person, ranging from mild to severe. It can reduce activity, as well as greatly affect women’s daily lives. The period of menstrual cramps can be from 3 to 5 days. There are some medicines that are known to relieve pain; However, all have side effects associated with menstruation. Coping with pain in the lower abdomen has made many people difficult. If you face more side effects of drugs, it is a real obsession. So why are painkillers potentially harmful to your body? Why not try natural methods, easy to prepare, simple and effective in the treatment of cramps before the period? Here is a list of the things you can do yourself to treat during menstrual cramps. The use of raspberry leaf tea to treat many different diseases has been used for a long time. Most women consider this tea should be taken during menstruation. It is known for treating other problems like irregular menstruation, flatulence, menstrual cramps. For tea preparation, you need to add fresh chopped raspberry leaves with a cup of boiling water. Cover the cup for a minute and then remove and filter the tea into another cup, you do not need leaves when drinking. Drink twice a day for high efficiency. Coriander seeds have a wealth of health-enhancing properties that you can achieve. To relieve pain from cramps before the period or lower abdominal pain in this period. You only need to mix one teaspoon of coriander seeds in a glass of boiling water and stir for a while. Then filter the mixture and add a tablespoon of honey. Drink this mixture twice a day to get rid of the pain. This is an effective natural remedy that can relieve your throbbing pain during menstruation. To make this tea, you first need to scrape the ginger’s skin, then cut into small pieces. Add 2 tablespoons of ginger to boiling water. Simmer the flame and leave on the stove for an hour or so. Then filter the ginger juice. Drink once a day to cure cramps before the period. While ginger is a great natural remedy, it also has some side effects. Ginger often causes the body to become hot; it may not be suitable for some people. Therefore, before using, you should check the ginger dose if there are other health problems. Aloe Vera is one of the medicinal plants that need not be introduced. You can quickly find aloe in your garden, which is easy to grow in your home. This aloe vera is very easy to prepare and very tasty. Just add 1 teaspoon of honey to aloe vera juice and drink daily. This is an effective cure for abdominal pain and menstrual cramps. This is a tea that most women should drink to treat the pain of cramps before the period. Cinnamon is popular for soothing and healing effects. This cinnamon tea is easy to make, just crack a cinnamon stick and add it to a glass of boiling water for 5 minutes. Then remove the scoop and add fresh whole milk or pure honey to drink. Parsley is a well-known herb worldwide with unique health-enhancing properties. Parsley effectively relieves cramps before the period, even with severe contractions. To make this juice, you need three other ingredients: radish, carrot, and cucumber. Beat all of them and drink at least 70 ml to relieve the pain. Basil is often regarded as a natural analgesic with no side effects. Take a sip of cinnamon and relax and make the girls feel better during the red light. To make tea, just add a few basil leaves crushed into a glass of boiling water. Cover and let cool for a few minutes. You can drink this tea once a day for better results. Try these natural remedies to limit cramps before the period and menstrual cramps in the most effective way possible. They are simple and have no harmful side effects. Also, remember to drink plenty of water and eat foods rich in iron, which will help to lighten the pain. Whether exercising lightly or exercising, yoga is no way for menstruating. 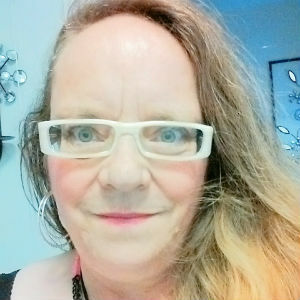 Author Bio: Joyce Baker is both a graphic designer and a writer, has been worked as a freelancer. She graduated from Arts and Humanities faculty at University of Central Florida. Has been trained in the field of design and health, she loves creativity and actually want to share with people the useful information about Healthcare and Nutrition in creative ways.